A team building trip around the world! 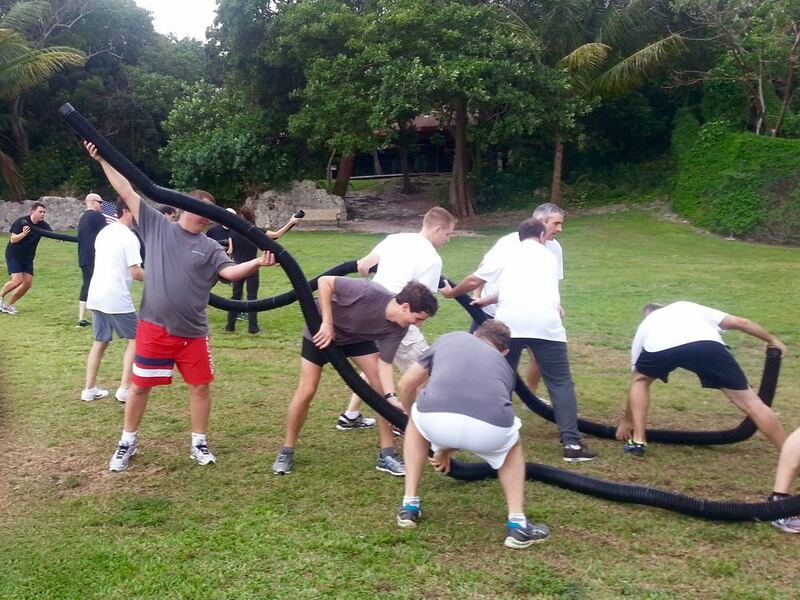 Games handpicked by our team building experts for their fun factor, cultural authenticity and positive team dynamics. Bring an international flair to your next meeting or event! Games Around The World lets teams experience fun and colorful team-based games from around the globe. All activities have been hand-picked by PossibiliTEAMS game experts based on their “fun factor,” level of team interaction and cultural authenticity. You’ll learn fun ways that people around the world play, while creating strong working bonds with your teammates. Group members will experience team games from far-flung corners of the world including Scandinavia, Latin America, Australia, the Pacific Rim, West Africa and North America. Groups are split into teams of 5 to 10 people for this program. A typical session consists of 6 to 8 activities, each lasting 25 minutes. Teams earn points as they rotate through a circuit from one activity to the next. The program concludes with an awards ceremony, with custom-designed Games Around The World award medals presented to members of the top teams. Games Around The World is non-strenuous and lots of fun for everyone. And of course, no foreign language skills required!